HP recommends that you use Original HP ink cartridges. XL (Extra Large) cartridges cost more but do provide better value in the long run. They will be able to print 3 times the pages of a regular cartridge. Our advice is that if you print often, go with XL. However, ink can dry up. So if you are not a frequent printer, go with the regular cartridges. – From the printer control panel, touch or swipe down the tab at the top of the screen to open the Dashboard. – Touch the Ink Icon (see below) to check the estimated ink levels. – Open the HP printer software. For more information, see Open the HP printer software. 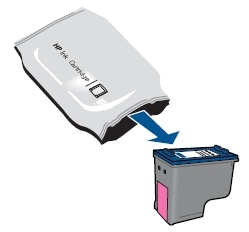 For regular usage, the HP OfficeJet 250 is not designed to print using only one cartridge. 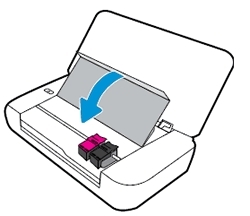 However, when one cartridge runs out of ink, you can remove it and use the other cartridge to continue printing. 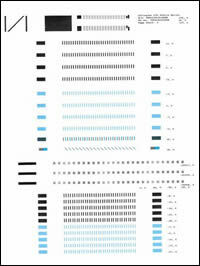 The printer supports this capability only if the cartridge has sufficient ink. Printing with one cartridge might slow the printer and affect the quality of printouts. Therefore, you should replace the empty cartridge as soon as possible. Which ink cartridges do I need for my HP OfficeJet 250 Mobile All-in-One series Printer? For your US, European and UK HP OfficeJet 250 Mobile series you need HP 62 Black and HP 62 Tri-Color cartridges or HP 62XL Black and HP 62XL Tri-Color cartridges. There are also Combo Packs (2 cartridges in one pack) available, like the HP 62XL/62 High Yield Black and Standard Tricolor Ink Cartridges Combo Pack. 1. Turn the printer on by pressing the On/Off button (power button), if it is not already turned on. It may take a few seconds for the printer to turn on after pressing the Power button. Wait until the product is idle and silent before continuing. 3. Open the ink cartridge access door. Wait until the carriage is idle and silent before you continue. 4. 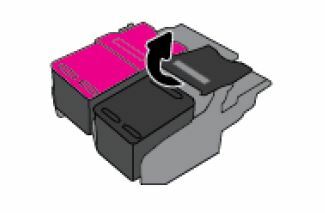 To release the ink cartridge, lift the ink cartridge latch. 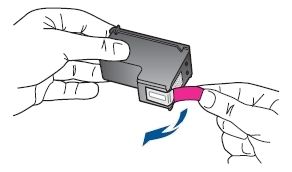 Gentely pull the cartridge toward you out of its slot, and se the tri-color cartridge. Remove the cartridge from the slot on the right to replace the black cartridge. 7. Hold the ink cartridge by its sides with the nozzles toward the printer, then insert the ink cartridge into its correct slot. 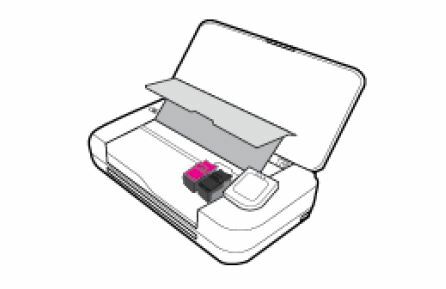 Insert the new ink cartridge into its slot, and then press the ink cartridge forward until it latches into place. Close the latch as illustrated below. Insert the tri-color ink cartridge into the left slot. Insert the black ink cartridge into the right slot. 9. Close the ink cartridge access door. 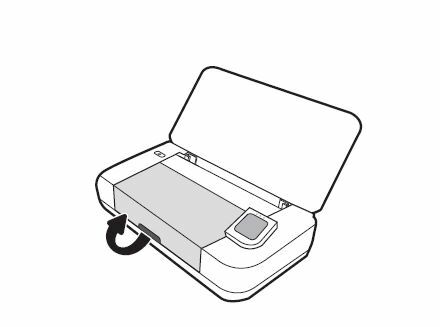 Wait for the carriage to complete the cartridge initialization routine before using the printer. Do not open the cartridge access door until the cartridge initialization is complete. The printer automatically aligns any newly installed ink cartridges. – From the home screen on the printer control panel, swipe down to open the Dashboard, and then touch the Setup icon. – Swipe up on the display, touch Printer Maintenance, touch Align Printer, and then touch Continue. An alignment page prints.